The America the Beautiful coin program from the United States Mint has been impressive since its introduction in 2010. 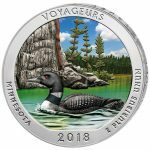 Following up on the success of the state quarters program released on circulation currency in the 1990s, America the Beautiful coins have seen increased demand with each new set of coins released. 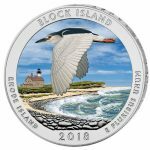 As with each new year, there are five new coin designs available for the 2018 Silver ATB Coin program, expanding upon the beauty and variety of an already diverse program from the United States Mint. 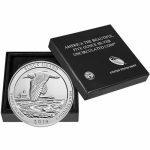 The America the Beautiful coin series from the United States Mint was inspired by a temporary alteration made to the nation’s circulation quarters in the late 20th century. 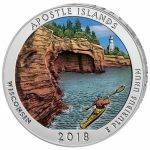 In an effort to call attention to and celebrate the uniqueness of each US state, the Mint redesigned the reverse side of the nation’s 25-cent pieces to feature a different cultural or heritage site from each of the 50 states. Known as the state quarters, these coins were produced from 1999 to 2008. They were so popular among Americans that the Mint followed it up with a District of Columbia and US Territories quarter series. 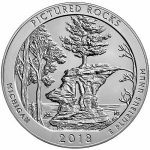 Recognizing the demand for collectible coins honoring each state, Congress passed the America’s Beautiful National Parks Quarter Dollar Coin Act of 2008. 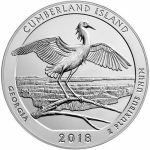 This bill authorized the United States Mint to produce a series of collectible silver coins inspired by the state quarters, but altogether different in a number of important ways. 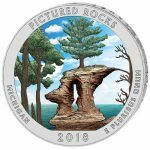 The Silver America the Beautiful Coins represent a 56-coin series that honors the national parks, national forests, and historical monuments from across the United States. ATB coins are released by the United States Mint on a five-coin schedule. 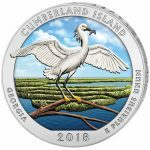 The program debuted in 2010, and will feature five new coin designs representing a different location and jurisdiction each time. The ATB Silver Coins are scheduled for striking through 2021. 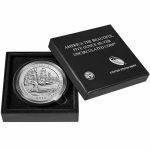 ATB Silver Coins represent each of the 50 states in the US, as well as the federal district of Washington DC, and the nation’s five overseas territories of American Samoa, Guam, Northern Mariana Islands, Puerto Rico, and the US Virgin Islands. Under the guidelines of the ATB Silver Coin program, the Secretary of the Treasury has the power to extend the program through 2033. America the Beautiful coins feature unique reverse designs representative of a different national park or national forest for each jurisdiction. The site selection process for the ATB Silver Coins was a collaborative effort that followed a five-step guide. The US Mint initiated the selection process through contact with the governor or chief executive of each jurisdiction, asking for four potential sites to represent the state/territory (one preferred, three ranked alternatives). After the US Mint reviewed recommendations from all 56 jurisdictions, the Mint consulted the Secretary of the Interior for appropriateness of the chosen site based upon historical and natural significance. Assuming the Secretary of the Interior approved of the sites, the Mint moved forward with the creation of designs for the coins. Each Silver ATB Coin contains .999 fine silver, with a face value of $.25 (USD). The Silver ATB Coins have a total weight of 5 oz., are significantly larger than circulation quarters, and are not used for settling personal and private debts as they are worth much more than their legal-tender face value. The main similarity between the coins is the obverse design. 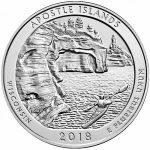 Like circulation quarters, all Silver ATB Coins share a common obverse design that has been standard on American 25-cent pieces for over 80 years. The left-profile portrait of President George Washington is featured on this side, along with the engravings “United States of America,” “Liberty,” and “In God We Trust.” You will also find the face value of the coins, “Quarter Dollar,” engraved on this side, along with the mint mark in some cases. With passage of the Coinage Act of 1792, the United States Mint was formed to produce circulation coinage for the newly-formed United States of America. The US Mint has come a long way from the days of using horse, oxen, and men to power its coining presses. 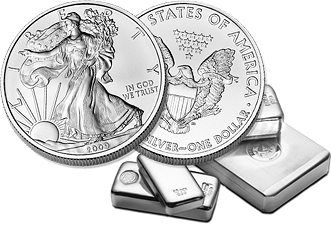 As of 2015, the United States Mint has the capacity to produce as many as 28 billion coins annually. The modern United States Mint consists of four primary coining facilities: San Francisco Mint, Denver Mint, Philadelphia Mint, and West Point Mint. The gold depository is considered a part of the US Mint system, as is the Mint’s headquarters in Washington D.C. Former US Mint facilities include branch locations in Carson City, Nevada, Charlotte, North Carolina, Dahlonega, Georgia, New Orleans, Louisiana, Washington DC, and Manila, Philippines. Its most popular product today, without question, is the American Eagle gold and silver coin program, which consists of bullion, proof, and burnished versions coveted by investors and collectors alike. 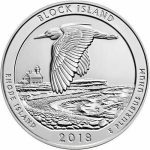 Silver.com accepts a variety of payment methods for your purchase of 2018 Silver ATB coins. You can pay for your brand new 2018 Silver ATB coins using a major credit/debit card, with an average processing time of one business day. We also accept paper checks, with a four to six business day processing time, and bank wire and PayPal transfers. The latter two forms of payment process immediately, while bank wire and paper check payments qualify for a 4% discount on the purchase price. We offer an affordable, tiered shipping price that is dependent upon your overall purchase amount. If your purchase exceeds $3,000, you qualify for free standard shipping and insurance. If you would like expedited shipping, it is available at an extra charge. All Silver.com products ship via the United States Postal Service or UPS. If you have any questions, please feel free to reach out to us at Silver.com. Our associates are available on the phone at 888-989-7223, online using our live web chat, and via email.